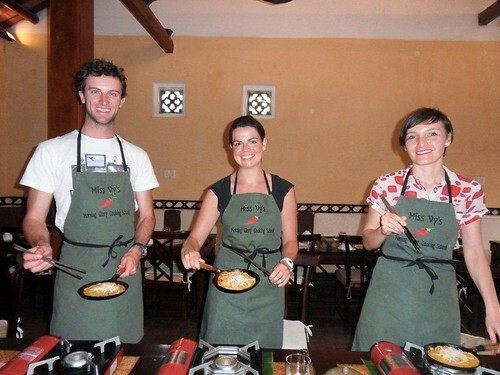 While Ross was off photographing I decided to signup for a cooking class in Hoi An. We have been loving the Vietnamese food so I decided to learn a little more about it so I can hopefully recreate some dishes when we get home. My class started with a morning trip to the market to learn all about the vegetables, spices, and herbs used in the traditional dishes. 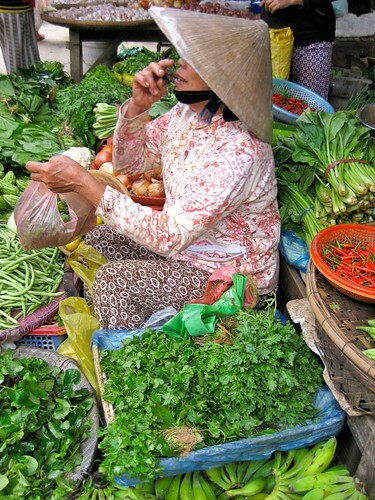 Shopping at the market is an everyday practice for the Vietnamese and it is always a bustling place to visit. 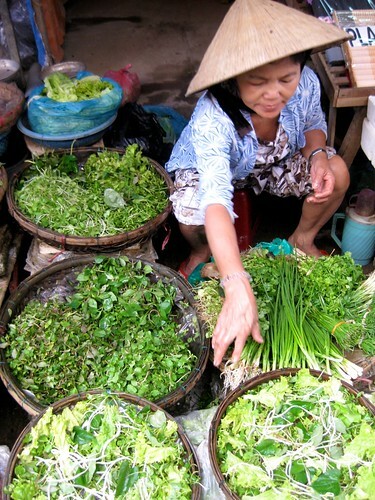 The Vietnamese diet is very healthy and is full of fresh herbs, fish, pork and every rice creation you can think of (noodles, buns, cakes). After learning about all the goods at the market we made three dishes and then got to feast on our work after the class. I made fresh spring rolls, lemongrass grilled chicken, and papaya salad. It was all delicious! Unfortunately my camera battery died halfway through the class so you will just have to take my word that the food was great and maybe someday in the future I will cook some up for you to try. 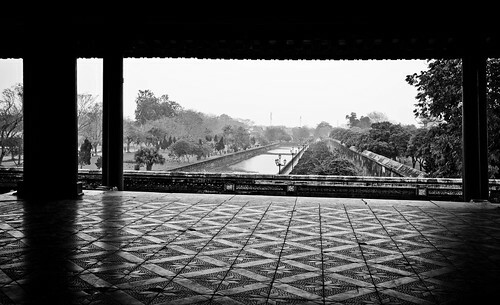 Ross and I really enjoyed our time in Hoi An, we coined it "the Santa Fe of Vietnam". The streets are lit by paper lanterns and are lined with art galleries and tailor shops ready to sew up anything your heart desires. 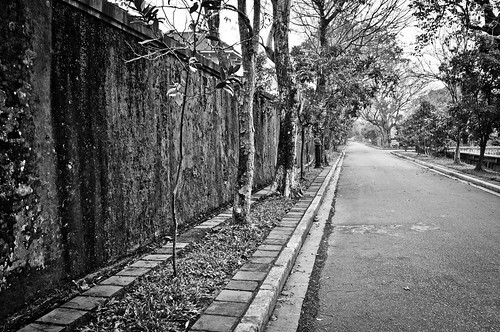 The main district is definitely touristy but the quiet streets of Hoi An and the surrounding countryside were great. After three months on the road we have officially decided we are not big city people, they are fun places to visit but we always find that the places we want to stay are the quiet little towns that move at a much slower pace. In Hoi An we once again rented some bikes to cruise around the town, it was an easy trip to several beaches and we also got to run out into the countryside without much traffic, a rarity in SE Asia. Sad to move on but ready for our next adventure we took a bus and headed north for a few days in Hue. 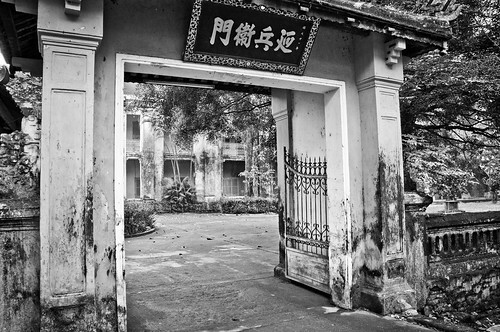 Nestled along the Perfume River the town hosts the nineteenth-century walled citadel, the remnants of the Imperial City and seven royal mausoleums. 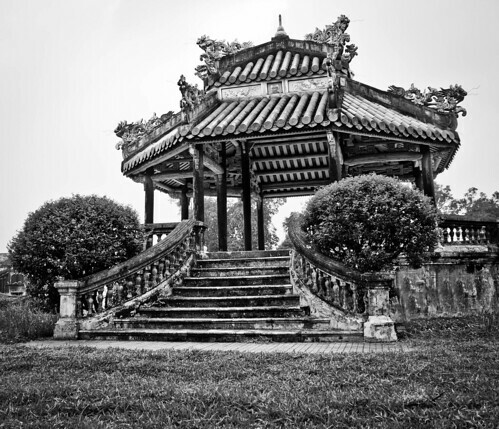 We started our tour with a dragon boat ride down the Perfume River to visit the Thien Mu Pagoda and then a few of the royal mausoleums. We saved the Citadel for the second day and really enjoyed wandering through the walled city and exploring all of the sights. 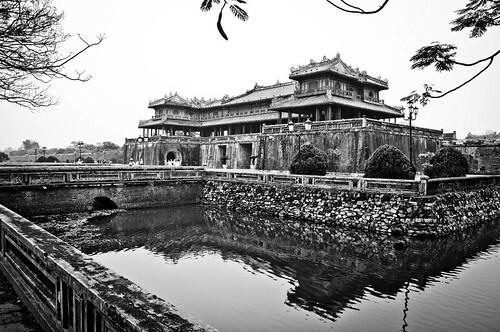 Hue has a sleepy and peaceful feel to it that make it a must see for travelers. 1. If something is popular in Vietnam there will always be several copycats, this applies to restaurants, shops, and hotels. 2. Vietnamese men often have very long fingernails and grow very long mole hairs, good times. 3. Vietnamese women are the work horses of the country, you often see the men lounging at coffee and bia hoa (fresh beer) stalls, smoking and playing games but never the women. The women always seem to be working; from cooking to harvesting rice in the field they don't seem to have much leisure time. 4. Scooter traffic is something to marvel at, they drive and park on the sidewalks making walking on the sidewalks impossible, they cut through traffic, run lights and drive the wrong way down the street when it suits them, but we haven't seen an accident yet. 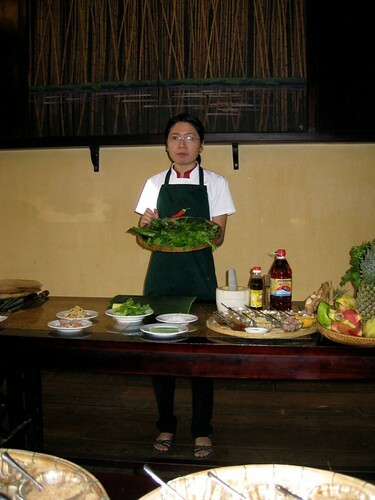 Eating and cooking in Vietnam is my dream vacation. I'm really enjoying reading about your travels. i like your "fun observations". It's a good observations. ross, your pictures are looking great. i really like them a lot. :) i like it that you took pictures of what you describe as well. cheers. Lisa: another reason for you to come visit us when we return, some tasty Vietnamese food! Hi, I LOVE the list of "fun observations" that is always so interesting to me in foreign lands. The photo's were amazing again especially the herbs & women in the market. I want a market like that!